Tell us about your new concept for silica-polymer coupling. The idea for this new coupling concept is inspired by nature. The traditional silica-silane-polymer coupling has one weakness: if the chemical bond breaks under external deformation there is no way to get it reconnected. We were considering an alternative coupling mechanism that would have the ability to be reconnected, when we stumbled upon our current concept in nature: why not implement a supermolecular hook-and-loop fastener, comparable to what is commonly known in its macro-scale form as Velcro? The main idea for the alternative coupling system came from my side, but the ideas, how to implement the hook and the chemical realisation, were done by my post-doc, Rafal Anyszka. He is also very enthusiastic about this project and presented a part of it in the form of a poster at the last Rubber Fall Colloquium in Hannover and won third place in the competition for the best paper. The ‘Velcro’ idea goes back to George de Mestral, who was on a hunting trip in 1941. He noticed that his trousers and his Irish pointer’s hair were covered in the burrs from a burdock plant. Where many might have brushed them off in irritation, de Mestral decided to study the burrs under a microscope. What he saw were thousands of tiny hooks that efficiently bound themselves to nearly any fabric (or dog hair). De Mestral realised that if he could create a synthetic equivalent, it would allow for a new way to fasten things – a middle ground between buttons, zips and sewing stuff together. His idea was to take the hooks he had seen in the burrs and combine them with simple loops of fabric. The tiny hooks would catch in the loops, and things would hold together. It is exactly this concept that we want to take advantage of. The challenge is now to transfer this macro-scale idea to a molecular level. 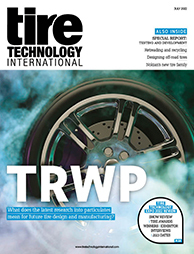 What would be the practical benefits for tire performance? Of course, we still have some way to go before we can implement this idea in a real, production-ready system. But if we succeed, we will be able to combine the advantages of the carbon black-type interaction with the polymer (when carbon black loses contact in one place it can directly reconnect in a different place thanks to weak VdW interactions) with the advantages of the silica-silane system. In other words, we expect to create a system that benefits from both a higher reinforcing effect and a better abrasion resistance as well. The silica-silane system is known for its improved wet traction and rolling resistance compared with the carbon black system, but it suffers from lower abrasion resistance. The new coupling system might overcome this disadvantage. Furthermore, we are hopeful that we may achieve a true self-healing effect with the Velcro-like silica-polymer connection: when a local breakage occurs in the elastomeric compound, the ability to reconnect might prevent the compound from direct failure, up to a certain point. Another interesting aspect is the recyclability of the whole elastomeric compound. In our group we have previously developed ways to devulcanise carbon black-filled tread compounds. The idea behind this process is to selectively cleave the sulphur bridges between the polymer chains without damaging the polymer chain itself. Such a devulcanised compound could be reused in a virgin elastomeric compound. This process works quite well in carbon black compounds, but it is very challenging to implement for the traditional silica-filled compounds, as the silica-silane-polymer coupling also has to be selectively broken, which is very challenging with current technology. A Velcro-like silica-polymer coupling that contains only physical interactions would overcome this problem and, as a result, much better recyclability could be expected. We have started the modification work by implementing a hook on top of the silica surface. This implementation was successfully carried out. It required four steps of synthesis to reach this final hook, which is of course too complex for further upscaling. But this modification serves as a first proof of concept. We expect that this ‘hook’ at the surface of the silica will already lead to a much higher degree of entanglement with the polymer chains. The very next step is the production of a higher amount of modified silica to perform more in-rubber tests. We are very curious about the outcome. After that, we will proceed with the modification of the polymer. How can we implement some ‘loops’ along the polymer chain to finally create a supermolecular hook-and-loop fastener? We already have some good ideas to solve this challenge. There are many more possibilities for the implementation of such a hook-and-loop fastener. We are only at the beginning of this research and very enthusiastic. Thankfully, we already have a number of interested industrial partners who support this project. 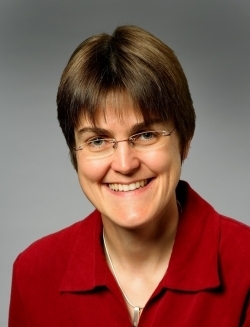 Dr Anke Blume will give a presentation titled A new concept for an alternative silica/polymer coupling at the Tire Technology Expo Conference. Click here to book your delegate pass.